Here are the top 5 Drones that I feel are the best of this year. 5 vision sensors and a 4K camera stabilized by a 3-axis mechanical gimbal are at your command with just a push of your thumb or a tap of your finger. The X-Star Premium is a sophisticated yet amazingly easy-to-fly quadcopter designed for superb aerial imagery. The 4K camera and 3-axis gimbal can record crystal-clear, smooth Ultra HD videos or take 12-MP photos with HD Live View up to 1.2 miles away. This drone is ready to fly out of the box and can be flown with or without the help of the free Starlink mobile app. 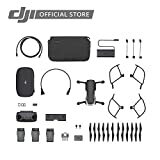 Powered by an intelligent flight control system, dual GPS and GLONASS satellite navigation and aided by the Starpoint Positioning System, the drone stays safe and stable, even indoors or at low altitudes. Where other drones might become erratic or fly away when there is magnetic interference, the X-Star is equipped with our exclusive SecureFly technology to help your drone come back home safely. 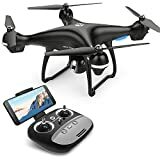 If someone asks me, “What’s the Best Budget Drone I can buy for under $300 in 2018?”My Recommendation would be the Holy Stone GPS FPV RC Drone HS100. It’s the best mix of cost/performance in 2018.